Green beans are a staple Thanksgiving food. I urge you to branch out from the standard green bean casserole and explore the different flavors that pair with this vibrant vegetable. Here are five great green bean recipes to try this Thanksgiving. Every component of this classic side is made from scratch. A light holiday side with of sauteed green beans and mushrooms. 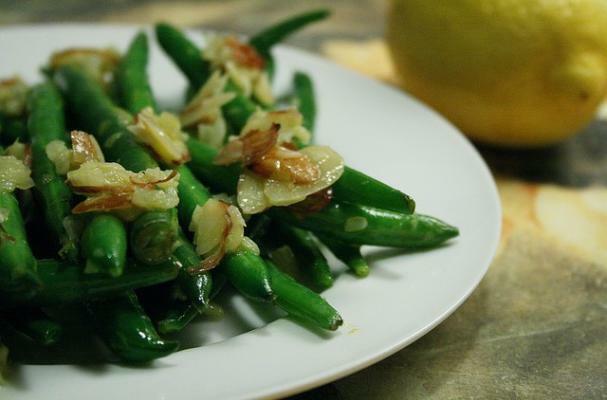 Enjoy green beans in the beginning of the meal with crunchy walnuts and tart and sweet cranberries. Head to North Africa with this side dish covered in a fresh and zesty pesto. I like to add a bit of garlic to this simple yet delicious recipe.